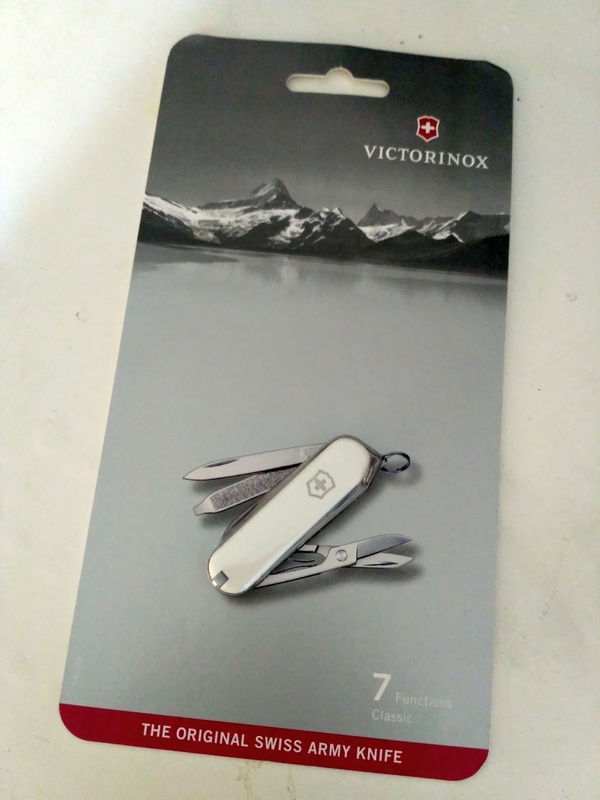 I was looking for a pocket knife that was not too bulky and could be attached to my car keys for everyday carry (EDC). 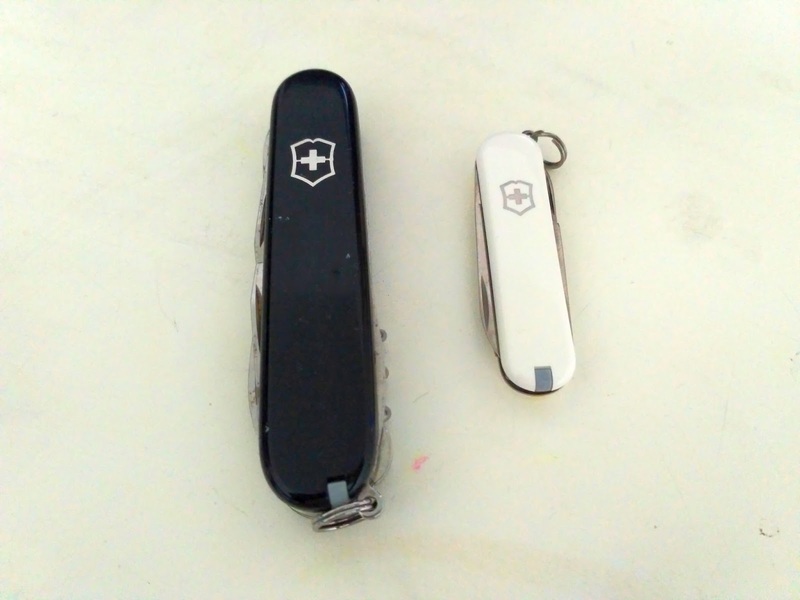 The Victorinox Swiss Army Classic SD Pocket Knife fit the bill. The model no is 0.6223.7B1. 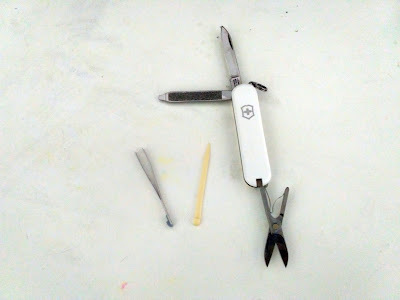 It is white, measures just 58mm and has 7 tools: a blade, nailfile + screwdriver, scissors, key rings, tweezers and a toothpick. I bought it on Lelong.com for RM80 + RM 7 (for delivery). It arrived in just one day - really efficient. Comparing it to my old Victorinox Swiss Army Knife Climber, it looks quite small and that is what I wanted.